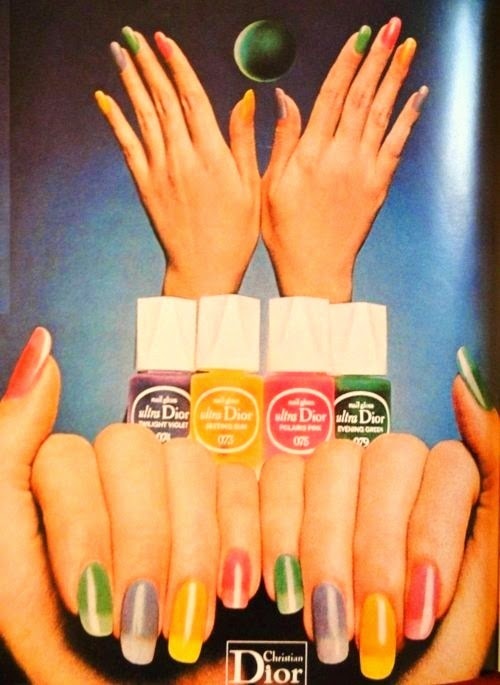 This amazing Christian Dior nail polish advertisement is from 1974. And once again all these colors are back in rotation. I just saw a slew of these crazy fun colors at Sally's Beauty Supply. Which makes these polish colors a lot more reasonable to purchase. If you ever need a little jolt to your heart... go price Dior nail polish at Macy's.